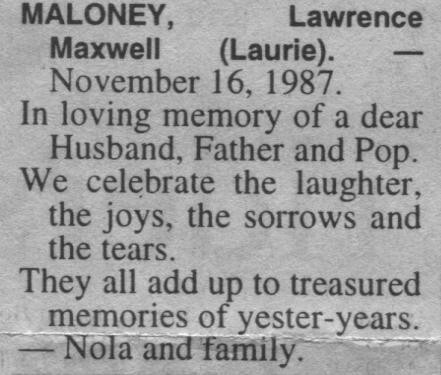 In loving memory of a dear Husband, Father and Pop. We celebrate the laughter, the joys, the sorrows and the tears. They all add up to treasured memories of yester-years.